You may remember my past blog about The Wine Feed, a local online retailer and store. 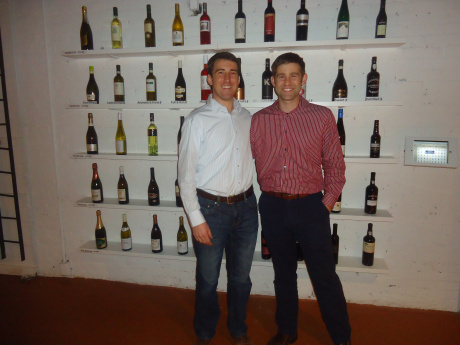 Co-owners Philip Rubin and Phillip Zucchino founded The Wine Feed in 2011 after graduating college and learning about wine through their international travels. They have provided visitors and residents of Greater Raleigh with quality, hand-picked wine selections with friendly, down-to-earth customer service. In Apr. 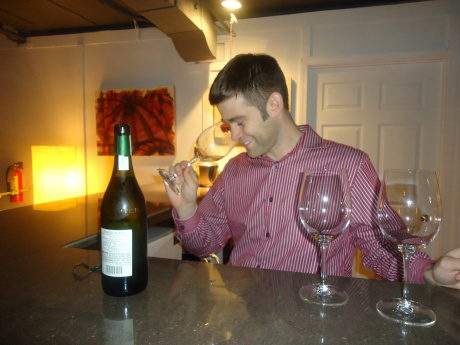 2011, Philip and Phillip created a unique wine retail operation: TheWineFeed.com. Their goal was to leave the intimidation factor of wine in the past. Their model focuses on wine styles above brand name, country of origin, vintage and grape variety. Since opening, Phillip and Philip strive to educate their consumers about wine. You’re free to order online or visit their store to discuss wine and make your purchases. The Wine Feed has great news for visitors. They will expand by relocating to 602 Glenwood Ave. in the recently opened Hampton Inn & Suites Raleigh Downtown/Glenwood South building. Situated in the heart of the Glenwood South District in downtown Raleigh, the new location will offer an inviting retail space, wine bar and extended hours to better serve customers. The relocation on Glenwood Avenue just a few blocks north of its current space will allow The Wine Feed to broaden its range of wines available for in-store purchase. The company’s convenient online ordering and delivery services will continue to be offered. The Wine Feed’s new wine bar will also offer tastings and unique wine selections supported by an expanded staff of wine advisers to answer questions and assist customers with purchasing decisions. The new hours will be from 10am–7pm on Mon. and Tues., 10am-10pm on Wed. through Sat. and on Sun. from noon-8pm. The Wine Feed will host wine classes and other special educational programs in the new space. Co-owners also plan to host events with more interactive wine experiences. Head over to The Wine Feed for a special event and to check out their new space conveniently located in one of Greater Raleigh&apos;s newest hotels. For more information on The Wine Feed and to follow updates on the move and upcoming events, visit www.TheWineFeed.com.